Increasingly, scientists are linking stress in infancy and childhood to the soaring numbers of people suffering from anxiety and depressive disorders from adolescence onward. — Margot Sunderland, The Science of Parenting (2007). Maggie Dent is an author, educator, and parenting and resilience specialist with a particular interest in the early years and adolescence. She is a passionate advocate for the healthy, common-sense raising of children in order to strengthen families and communities. Here she writes a great article on childhood stress and how we can help our children to calm down. Check out the Maggie Dent website to see her range of wonderful books and online parenting courses. I began noticing increased levels of stress and unhealthy anxiety in children and teens in the early 2000s and this was the major impetus behind writing my first book, Saving Our Children from Our Chaotic World: Teaching Children the Magic of Silence and Stillness. This book is now in its third reprint and our world is certainly more chaotic today than in 2003! Birth to five years of age is the best window to begin with building calm neural pathways. The early years are where the connectors are built, making brain maps or cognitive maps. Being hurried, overstimulated or stressed, impacts negatively on how a child’s brain maps form as well as the emotional triggers that accompany experiences. Not only are babies and toddlers creating brain maps, they are creating perceptions, beliefs and concepts that shape how they will interpret the world. The biggest threats to the developing baby and toddler brain are abandonment, deprivation and abuse. However being hurried, rushed and overstimulated by our consumer-driven, technology filled world is adding to the increased stress levels. Dr Stuart Shanker, a world-renowned researcher on self-regulation, writes extensively about his concerns for the declining mental and physical wellbeing of today’s children. Stress impacts the ability for children to develop patterns of self-regulation whether it be physical, emotional, social or cognitive. As parenting and education trends change and move further away from what children really need especially in the early years, our children become wired to be hypersensitive to the world around them. Heightened levels of cortisol, which is the stress hormone and which often comes with adrenaline, makes children feel threatened, unsafe, uncomfortable, frightened, worried and unable to cope. Some children become upset really easily when their nervous system is overloaded and display highly anxious behaviours and can be very clingy. Others can become very defensive and over-reactive and this can create aggression, shouting or yelling, meltdowns and tantrums. Essentially, both expressions of distress are signs of heightened stress in the children – not a sign of bad children or poor parenting. It is rather a sign of an inability to cope. chaotic home environments with a lack of structure, routines. “Babies and children who are ‘frozen out’, or who experience rejection, whether it is physical, emotional or verbal, are at great risk of struggling socially and emotionally for the rest of their lives.” — Anne Manne, Motherhood (2005). There are particular ways of responding to children that can help them to establish pathways in their brains that enable them to manage emotions well, think rationally under pressure and to calm themselves down without recourse to angry outbursts, attacks of anxiety or, in later life, alcohol, smoking and drug problems. 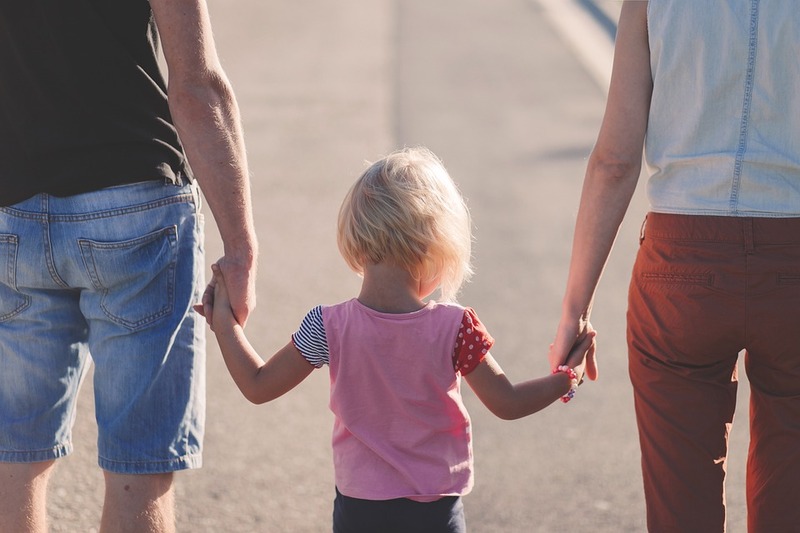 Slowing down our adult lives while children are young can really help build these healthier stress-regulating systems that we take right throughout life. In the past decade, we’ve seen large numbers of children diagnosed with depression and behavioural disorders such as ADHD, ADD and oppositional defiance disorder. New research shows though that the symptoms associated with these disorders are often an indicator that a child is suffering from stress that is manifesting as anxiety. Although anxiety is a normal healthy emotion, essential for our survival in fact, it becomes a problem when it impairs our wellbeing. 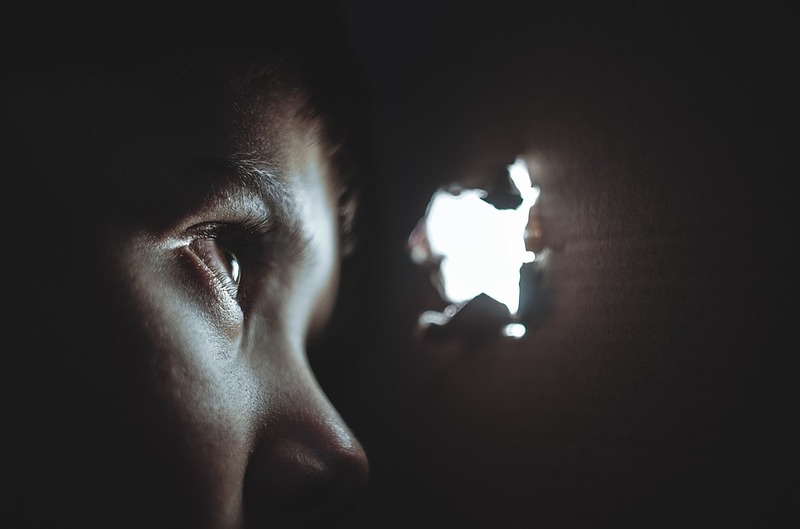 Anxiety is the most significant mental health issue in childhood, and yet it frequently goes undetected and untreated – it truly is an invisible enemy. It can begin as early as age two but (like attention disorders) we see a significant rise when children enter the school system and many will go on to suffer anxiety their whole lives unless it’s addressed. There are many symptoms that can show your child is struggling with heightened stress and anxiety and some of these are explored in this article I wrote for Essential Kids – some not often associated with anxiety. As Andrew Fuller writes in his excellent book, Tricky Kids (2007), when a child’s nervous system is heightened it may display other behaviours that are essentially also stress-driven. is reluctant to try new things. — Andrew Fuller, Tricky Kids (2007). The above list reads a bit like what our children are like after a birthday party and that is probably because our children will be exhausted, experiencing a sugar high and have had a moment or two of frustration at the party! What can we do to calm things down for everyone? The calmer our homes and classrooms the better our children cope and the happier and healthier they are. Essentially we need to create the feel-good brain chemicals to override the stress ones! Simple! Serotonin could almost be called the most powerful antidepressant available because it has a calming effect on the nervous system and on our children’s moods and behaviours. When children feel safe and loved they will have good levels of serotonin. Safe touch, good food, fun times with the family, and being acknowledged and encouraged by your parents, all create serotonin. Take three deep breaths often to trigger the relaxation response. Sigh deeply – more often – children will copy you. Gently and slowly tickle the tickle spot high up on the back. Have a calm-down beanbag or chair that looks out the window, or is in front of a fish tank – and mum and dad also take time to model needing some time to calm down. Enjoy a go-slow day on weekend – stay in PJs, no technology, linger over breakfast. Instead of time out for your children – quietly tell them they are having some calm down time in their bedroom so they can calm their big ugly feelings and return when they are calmer. Simply be outside more often because nature has a restorative quality that works on everyone. Good pets are great at helping everyone become calmer – as stroking gently calms the vagus nerve in the brain. Rocking and gentle swinging are also great natural calming activities so think hammock or rocking chairs. Do round and round the garden gently in the palm of your own hand or your child’s hand. Tap on the K 27 points on your chest (just under collarbone), – it’s a natural release point for tension. Remember the power of a good hug especially with no words. Find a safe touch that each child enjoys – head massage, foot massage, back tickles, gentle ruffling on the head, butterfly kisses on the cheek – do often. Have a nap or chill on the couch. Dopamine creates a switched-on, having fun, ‘I am really interested’ kind of state in the body. The biggest killers for dopamine are stress, boredom, fear or threat. Another group of feel-good chemicals are called endorphins and they are created by laughter, positive human interaction, and safe touch and are sometimes triggered spontaneously via the senses of smell and hearing. Play is the best way to create dopamine. Play outside in the natural world is even better. For even more suggestions check out this article I wrote on how happy, calm children learn best. As parents we can ‘manipulate with love’ the mood levels of our children with this knowledge– every little bit helps to reduce the stress levels of our precious children. The immediate rush of positive brain chemicals turns the level of cortisol right down and the mood within the home will change with it. When there is a lot of stress, tension and maybe shouting, cortisol levels go through the roof and our children can display enormous distress. For those children who are struggling with heightened levels of stress – struggling with sleep or irrational fears that are getting worse rather than gradually getting better – I have two free audios that have helped many children. I have a free relaxation for mums to use to help release the emotional stress we all struggle with at times. For teens and dads there are many other relaxations on my website. Habits make a difference with reducing stress — helping your children to develop helpful habits is really important. They do model off you, so maybe you can start today — start sighing, walk slower, start taking your cuppa outside and sit down, burn some calming essential oils, do some cloud watching or star gazing with your kids, do some yoga or Tai Chi (plenty on YouTube). Just do one thing a day and you will make a difference — a positive difference.